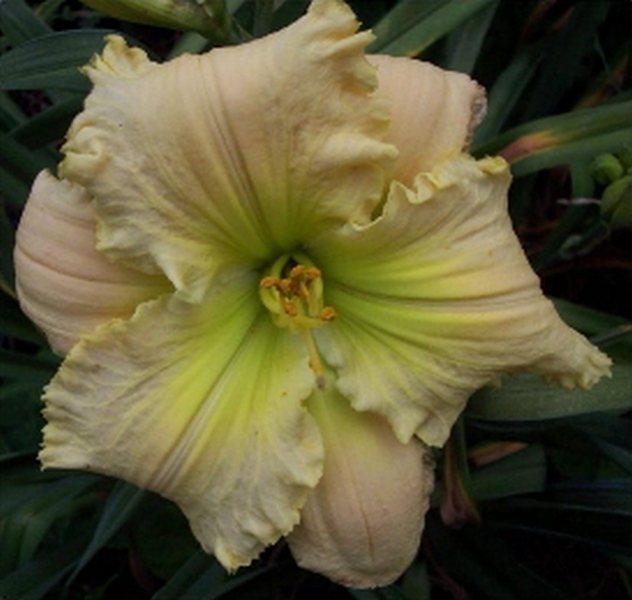 A beautiful creamy yellow, almost white with pale pink blush and a wonderful gold edge above a green throat. This is the best breeder of the Lindas and the parent of many of my gold edged seedlings. In the top 10 of the Region 15 Popularity Poll!